Gumirumi. 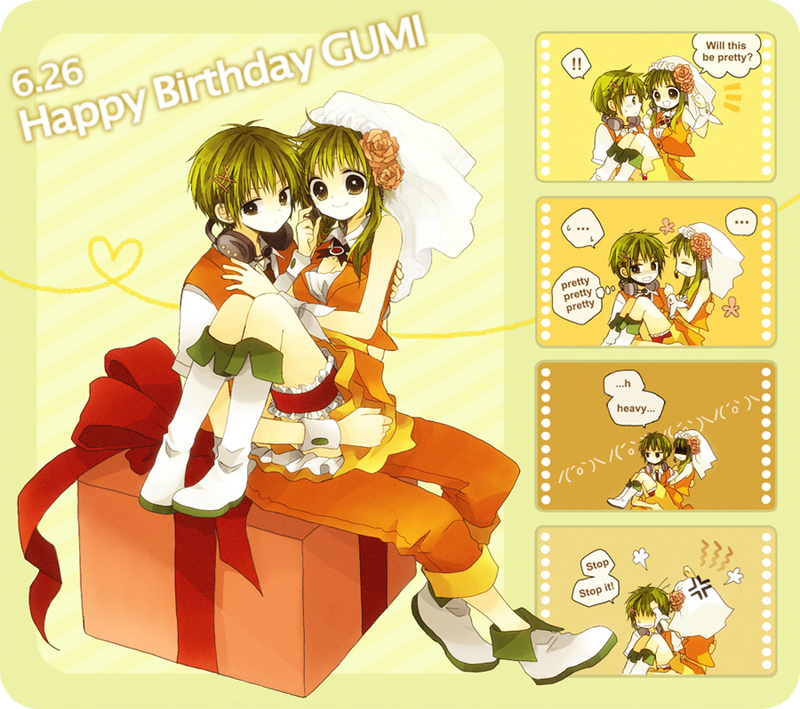 A bunch of Gumi pictures. XD. HD Wallpaper and background images in the Gumi (Vocaloids) club tagged: gumi megpoid deco*27 vocaloid megpoid gumi. This Gumi (Vocaloids) photo might contain 애니메이션, 만화, and 만화책. 【English Sub】 Megupoid Gumi Original Song "Wan Wan O"